At Rock it Climbing we offer a large variety of classes for those looking to get some more out of their climbing or learn something new. Whether you are looking for group classes or some one on one time with our experienced coaches, we will offer something to cater to your needs. 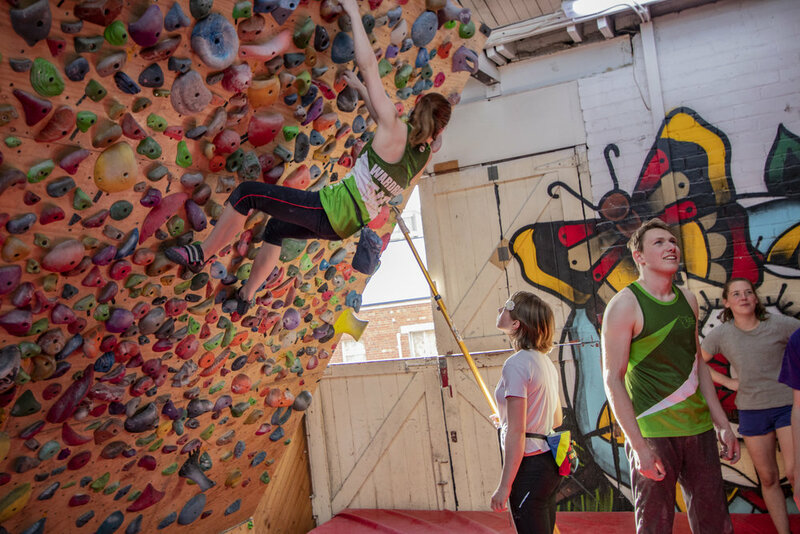 For all younger climbers, these groups will meet for weekly coaching sessions. This is a great, social way to enter the sport, learn skills and burn off some energy. For those who have been top roping for a while and are interested in taking the next step with their climbing, our lead courses teach you everything you need know to lead climb and belay in our facility. For those of you who are looking to get a personalised lesson, or maybe you want to learn more about your goals, skills and abilities through climbing in a one-on-one environment. Private coaching will help you look deeper into your strengths and weaknesses, providing you with insight on how to improve in a smarter way. This could mean developing a personal training program or simply learning how to get to the top of your next project!